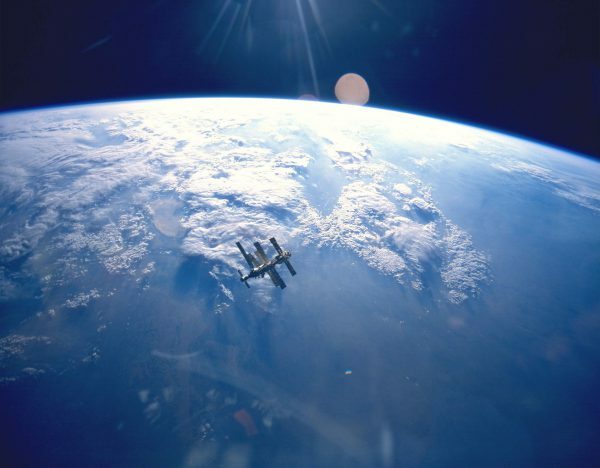 Although we now have the ISS, the International Space Station, remember a time when I was not alone but shared the heavens not only with many satellites, but with the MIR Russian Space Station. From 1986 to 2001 the Russians were the first to test new construction techniques in space and were the forerunners of the international station watching as a single country has no capacity to mount such mamotecho solo. In fact almost 10 years construction hard. To highlight the laboratories where, in the end, collaborated many countries and especially microgravity experiments. For though you may not believe, the ISS and MIR are (and were) in microgravity not in severity 0, as many think. Both stations were (and are, I’ll use this now) falling continuously on Earth (like the moon) not being located at the Lagrangian points. The only thing is that when it falls, the earth is not there. Like the ISS was in a low orbit of 280 km and about 480. Remember that the orbit is not circular, but elliptical, like most satellites. A curious fact is that Mir pressurized modules were actually modules of the Soyuz rocket fuel as size and shape, they were worth for both. In addition, thanks to the Mir ports anchor between different types of vehicles were standardized as they saw when it opened to other countries, this was absolutely necessary. For more information search the APAS-95 (Androgynous Peripheral Attach System). As I said, being the first, much was learned the subject of mounting space, space engineering. 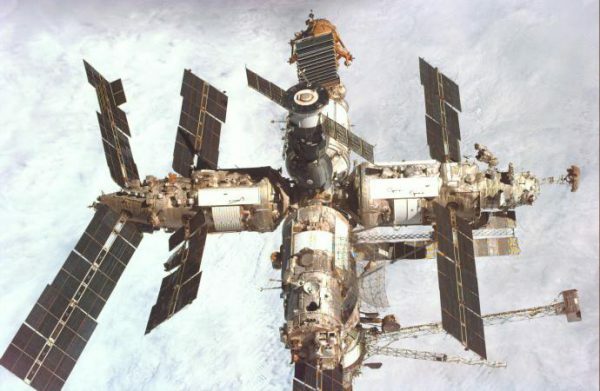 In the Mir many mistakes were made, as in the assembly, every time I got a new module had to depressurize the existing mode which, when connected the new (which came without pressure) there were no problem, with consequent huge expenses pressurizing and depressurizing the entire season. He also helped create a system and re supply procedures in space. Obviously, the problem regularly uploading things had not been until this season was forced to put docking stations for cargo ships carrying “food”. Mir, which in 2001 was dropped for lack of funds was a major breakthrough in space engineering twentieth century and, although I do not know indicaros or I want to bore you with all the advances in one of the most important parts in human stays in space, habitability or services that people need, there was progress because the problems that previously had not been taken into account were observed, was very great.